Most parents, who are just about begging their journey in organized sports, fear that their child might get injured. If you are a freshman parent in the world of sports, here’s a disclaimer - in organized sports your child will be prone to injury, more than just regular scrapes and bumps of an active childhood. Sports and injury go together, it’s a part of the package. 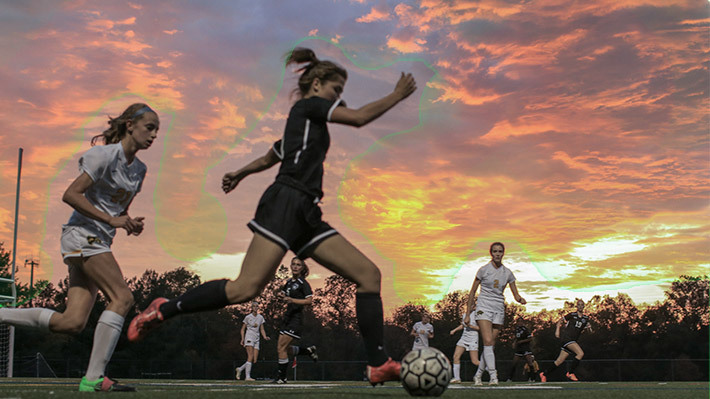 Sprained ankles, bruised bones, torn muscles, strains, concussions, all of these are unsurprising in sports, no matter how much of precaution and safety measures you might take. While you can’t do much to prevent the injury, you can help manage it. 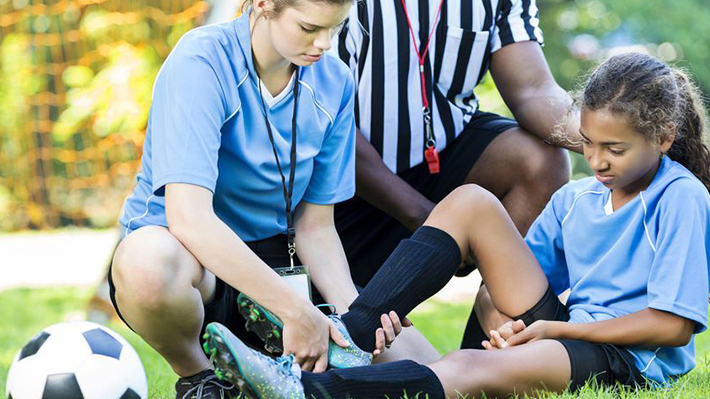 More so, in youth sports, unlike college sports, you do not get dedicated medical staff or sports medicine specialists, which pretty much makes it the parents’ onus to get their child the right treatment and on the right recovery regime. Although recovery time and plan can vary given the severity of the injury, here are a few points that might help build an injury management and recovery plan just in case. 1. For any physical injury, you must first see a doctor. Even if the injury initially seems harmless, it’s always recommended you see a doctor just to be on the safe side. Mostly, your family doctor or your pediatrician should be able to help diagnose the problem, then depending on the nature and severity of the injury, you might want to consult a specialist. 2. While you are seeing a doctor who’s helping the child get cured, you must also consult a doctor who specializes in sports medicine or a physiotherapist, who will then put together a plan of recovery, how to get the motion and strength back, and how to swing back in action. 3. Ask doctors and specialists about the time the child needs to take off. Let the child take complete rest during this period. This will help in healing faster. And when the child is ready to be back in motion, slowly introduce strengthening exercises, obviously under supervision of a sports medicine specialist or a physiotherapist. 4. If the child’s injury is severe, most likely the child will have to go through physical rehab training. Be very patient. Physical rehab training can be very painful, the child would need your full support. It would take time to regain the strength and endurance back, and may take a while to get confidence back too. 5. There will have to be a special diet during the time of recovery. If your child is really serious about his sport, you should consult a nutritionist to understand the type of diet your child would need. You can also seek advice from the doctor regarding the diet, but consulting a nutritionist will help you understand the exact diet plan to follow since recovery time is critical. 6. Even after recovery, you should continue some strengthening exercises daily. Make it a routine. The recovered area would need extra strength. Kids are just keen about getting back to playing. They would usually not follow the discipline required to recover completely. You would have to be there to ensure there is no hurried return to the game. If the recovery is not complete, there is a chance it may occur gain, since the body is vulnerable. 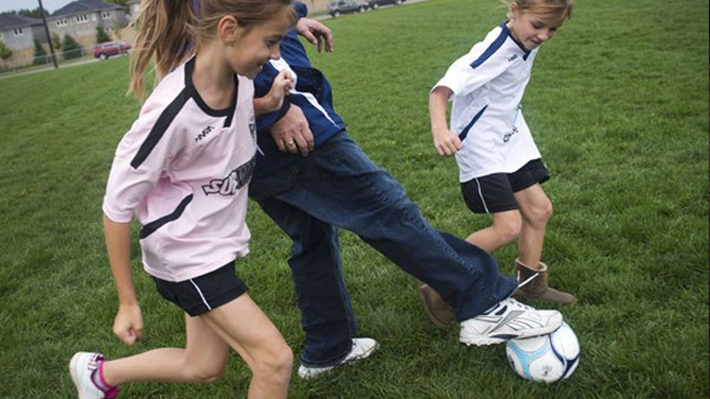 Being involved in your little one’s sport program can be an exhilarating experience. You get to accompany the child everywhere and the kid loves it too. But as the child grows up, being involved in her life becomes tricky. Middle and high school kids, kind of discourage their parents accompanying them everywhere, asking them any questions about the game, school or anything in their lives. Ironically, around this time kids need parental supervision all the more, since they are entering delicate phase in their lives. Parents constantly live in this dilemma whether or not to show too much of eagerness towards your teen’s game, how much would be too much. It’s a tough one. If you are struggling with a similar situation, here are a few tips wherein you can get positively involved in your teen’s sports without suffocating the kid’s personal space. This is a lot helpful when you are keen on knowing what’s going on. If the main mode of communication is emails, make sure you read all the emails. This way you will not miss out on important dates, match schedules and other information. If your team uses an app, download it and be an active participant. Most of the times children feel parents are not interested. If you know the important stuff, you can help your child prepare accordingly, or help make car pool arrangements, which the child will eventually appreciate. Given your hectic life and job, it might get difficult to attend all games, but make sure you do not miss the important ones. Be there for parent-coach meetings. These things matter to kids. If you aren’t around the kid might not trust you as much and sharing would be all the more difficult. Teens go through a lot of stress these days, way more than most of them can handle at that tender age. There’s bullying, peer pressure, exam stress, depression, addiction, so much to cope up with. While your child is trying to keep her head above water, she may have some mood swings. Do not react to those. Let the moment pass. It doesn’t imply that you take bad attitude, back answering and tantrums; those definitely need to be corrected. But tell it to your child in a polite but firm manner whatever is not acceptable. Beyond that, just let the kid go through it, chances are she will only realize your silent support and come to you with her problem. Try and have intelligible adult-like conversations with her. Discuss some situations you might be going through in your life. Do not always try and tell her what’s right and what’s wrong, give her the mental and emotional space to figure that out on her own. just make sure you stay connected, with conversations or just by asking what’s going on or even by taking advise if you have to. What company your kid is in matters a lot. Try and meet up with other parents in the team, organize some event or get-together. Knowing other kids and their parents will help you understand where your child is. It also builds at sense of security around the child. The team has a coach. Let the coach do his job. When you interfere with coaching, you end up spoiling the kid’s trust on the coach, or on you, which is worse. Taking time off from youth sports during holiday season is indeed a good move. The time off helps kids get some perspective, relax, rejuvenate and freshen up with new zeal. But at the same time, it is essential that kids stay in the grove, they do some sort of workout at home daily so that they do not lose touch and can join back with energy and enthusiasm. Here are some easy home exercises that will help kids with full body conditioning. 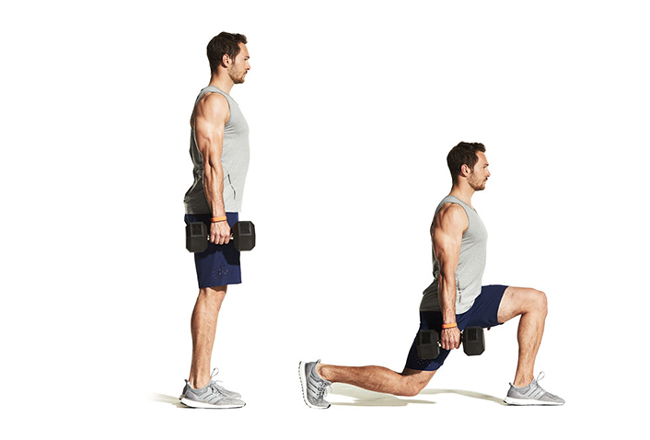 None of these exercises require any equipment, and can be done anytime anywhere. Start with warm up. Do Jumping Jacks. Rotate arms clockwise and anti-clockwise, twenty counts each. Make sure the path is clear. Jogging backwards helps with balance and speed. Take a step, raise a leg, hug its knee with both arms. Do this with the other leg now while you take a step ahead. Walk 20 steps like this. Major muscles of the body are activated. Try this also while walking ahead. Begin with the plank position. Jump forward to the frog or squat position with hands still touching the ground. Then jump back. Get into the plank position. With your back straight and core tight, push your body up and down. Focus on your breathing. Inhale as you go down, exhale as you go up. Depending on the intensity and time of your workout, you can add inchworm, burpees, star jumps etc. too. 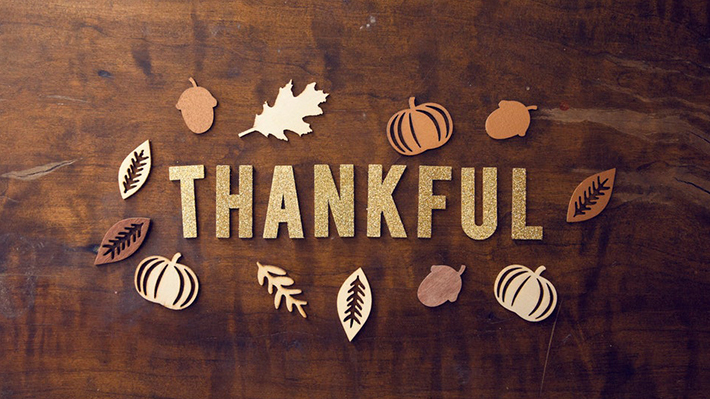 With Thanksgiving around the corner, we tend to show our gratitude for all the gifts life’s given us. According to a study, when we show gratitude, we tend to be more optimistic in life, and tend to concentrate on all things positive. That’s a great feeling, isn’t it? So, why not have this optimism going all year long? Here’s how you can help your kids stay thankful and optimistic year long. We have a tradition in our family. For all birthdays and Holiday eves, we visit either an orphanage or an old age home or arrange food for the homeless in homeless shelters. It really brings in a perspective for the kids. When kids see what they have and others don’t, they know the value of basic things like home, food, family and love. Kids also learn the importance of sharing. Kids need to learn to be naturally good. They are bound to make mistakes, feel angry and loathsome, let them. If you have a positive aura in the house, they will eventually find a way to turn around. It is their journey. You need to give them the space and time to do it at their pace. Let them evolve themselves. If they do something wrong, just let them it’s wrong and tell them why. Do not punish, impose ‘sorry’ or force them into making it right. In the daily grind of life, we tend to lose perspective in life. We get exhausted, angry and frustrated. We all do. And then, when we interact with our kids, we tend to put on the smiley masks and try and teach them virtues like love, kindness, gratitude and so on. Unfortunately, kids see though us. They reflect what they see. And then, when we see our children getting arrogant and brash, we wonder what went wrong. If we really want to raise our kids to be thankful and kind, we will have to learn to forgive and forget ourselves. We need to genuinely start being thankful in our lives for even the smallest of gifts life gives us, kids will follow suit. Don’t wait to Thanksgiving to be thankful, don’t wait for Christmas to meet up with your loved ones, don’t wait for birthdays to call up, don’t wait for New Years to resolve something good, just do it the very moment you can. Designate a day a month when the whole family would do something fun together like a family picnic or a trek together or going to a game or just spending the evening in the backyard with barbeque. Whatever you choose to do should be fun and something that all look forward to. You’ll actively and passively pass on so many values during this bonding time, that your children will remember for life. Humans have more than five senses. Actually, way more than the basic five. There are over twenty senses, and scientists are estimating there might be over 30 senses in all. Proprioception refers to body’s sense of being aware of itself. It is the way muscles unconsciously react with the parts of the body. For instance, we can eat popcorn in dark with our hands unconsciously reaching our mouth, or how we can type without looking at the keyboard. Proprioception can be bettered with practice. Since proprioception is the ability of the body to determine where all body parts are positioned at a given time, it is a very important sense for athletes. This is the very sense that enables the runner to run without watching feet, or take a baseball shot without looking at the bat. Equilibrioception is the sense of balance. We all lose this sense with realizing it. At a given point of time, different body parts work together to maintain balance. Self-control and balance have a very important role to play in any sport. Athletes train themselves to sharpen this sense. Nociception is the body’s ability to sense pain. Athletes often overuse their bodies, especially when they are training. nociception helps them sense when to stop. Kinesthesia is the sense of movement. It is the sense by which by which mind perceives weight, position and movement. It is the sense that enables the body to detect changes in position or movementwith relying on the five senses. Any physical movement such as walking, dancing, running etc. involves Kinesthesia. This is the sense that helps us know temperature of the surroundings. For instance, if you are blind folded and there’s fire near you, your body will start feeling hot and raise an alarm. This helps our bodies sense magnetic fields. This helps us get a sense of direction. Although this sense is not very advanced in humans as it is in birds. Many experiments have been conducted to understand the mechanism of magnetoreception in humans, but no conclusive result has been derived. This is the sense of time. For instance, how we wake up just before the alarm clock, or right on time. Here are some interesting finds about youth sports. Some of them, really inspiring (for you too parents!). 1. One of the major reasons for motivation of kids is being with their friends. According to a survey by USA Today, sixty-five percent kids in America participate in one sport or the other just to be with their friends. 2. Apart from sport-skills, kids learn character building traits from sports. according to a study by Sports Illustrated, sixty-seven percent children learn to be a good team player, while around forty-two percent became more disciplined. 3. Parents and pressure take the fun away from sports. As per USA Today, thirty-seven percent kids said they would be more comfortable if their parents didn’t watch them play. 4. Don’t burden your child with the pressure of getting a sports career or going pro. As per USA Today’s findings, only 1 in 6,000 high school football players goes pro, whereas in baseball the chances are 1 in 4,000 and in basketball the chances are 1 in 10,000 kids. 5. Adults are more worried about their child’s sports performance than the child herself. As per USA Today’s study, seventy-one percent kids would not care if there was no score kept for the games they played. 6. Parents might want to be sure of the child’s interest and aptitude before they over invest both time and money. Most kids quit youth sports by the age of 13. 7. One of the major reasons why kids quit youth sports is that they do not enjoy it any longer. According to a survey by ESPN, around thirty-six percent girls and thirty-nine percent boys quit sports because they are not having fun. Studies have proved that participation in sports for asthmatic kids is helpful in improving cardio-pulmonary fitness, which helps the child overcome the condition. Sports participation also ensures the child stays physically fit, as obesity can worsen the condition. 1. Take doctor’s advice – Before you get into any sort of physical program, it is essential that you get the child thoroughly examined by a pulmonologist. The pulmonologist may get certain tests done such as the PFT (Pulmonology Function Test) along with a clinical checkup to see if the child is fit for physical activity. In some cases, the condition becomes acute and physical exertion may not be recommended. Do make sure you get a go from your doctor before you enroll your child into any kind of physical exercise. 2. While you are at the doctor’s, you should also take a detailed plan with regards to constant monitoring of the child’s condition. Understand what are red flag situations, how to adjust medication if needed, how to handle emergencies, and establish the required frequency of visitation. Initially the doctor might ask for more frequent visits, and then, depending on the child’s comfort level, may reduce the frequency. 3. 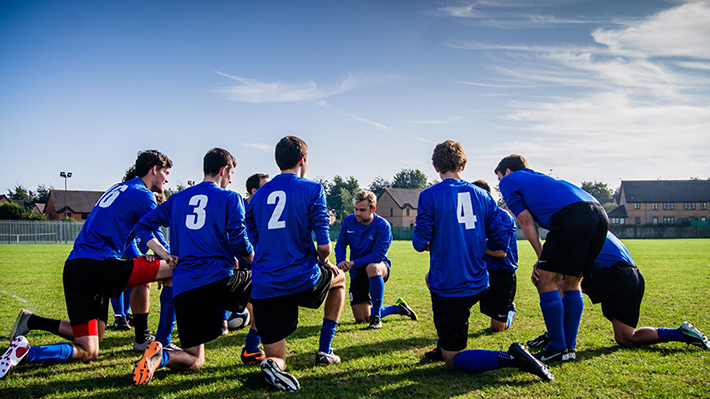 Notify the coach – You must, without fail, always notify the coach about the child’s condition. You should also share the doctor’s prescription with your child. the coach would know the level of exertion okay for the child, and would also know how to handle emergency if need arises. The coach should also know what triggers an attack. 4. Keep the inhalers handy at all times. Keep one in her school bag, one in her gym bag, one in your hand bag, one in the car, one at home. 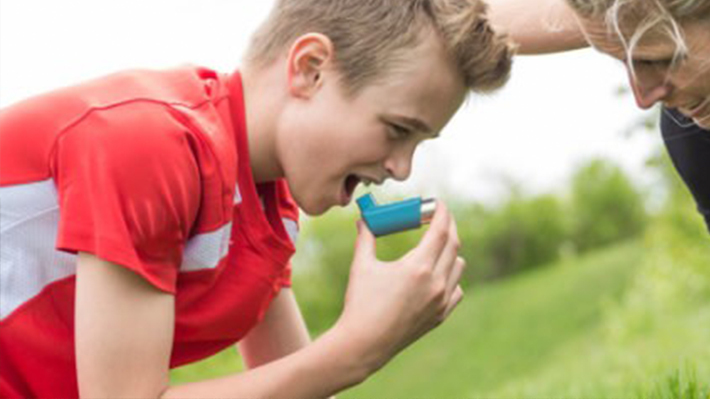 in case of an emergency, you should be able to reach the inhaler without any difficulty. Famous Olympic medalist Jackie Joyner Kersee, who won several medals at Olympics, successfully managed her asthma to become one of the best athletes in the world. You need to work closely with your doctor and coach.